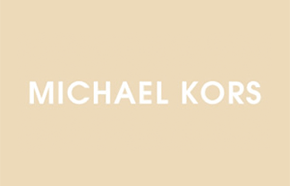 Michael Kors Canada has a one day Boxing Day sale on December 26, 2012. Get an additional 15% in savings on already-reduced merchandise. 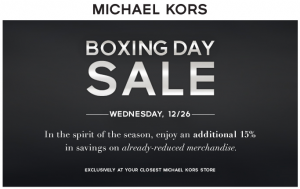 This Michael Kors Boxing Day sale is valid at all stores in Canada. Not the greatest of sales but better than nothing. Michael Kors rarely ever has sales so if you find an item that's already reduced and you like it go for it!